Students in their sophomore or junior years who plan on taking PSAT exams at Haddonfield Memorial High School on Saturday, Oct. 13, 2018 must register by 11:55 p.m., on Thursday, September 20, 2018. The high school will offer families the ability to pay their exam fees online at the time of registration. Please be sure to have a credit card or debit card available before beginning registration. To register for the PSAT, visit user.totalregistration.net/PSAT/310470. Registrations that are not paid by 11:55 p.m. Sunday, Sept. 23, will be cancelled and exams will not be ordered. 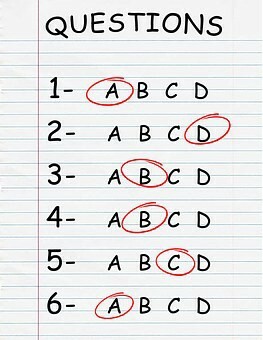 Students must answer all of the questions in order to complete the exam registration. A confirmation page indicates that the exam registration process has been successfully completed. Please contact Tina Bozine at tbozine@haddonfield.k12.nj.us if you have questions about financial assistance, or any other questions.